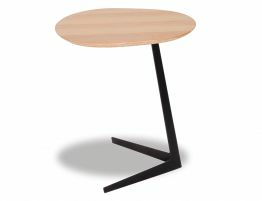 The space side table with its Natural Ash Timber top and Black Powder Coated steel frame is a modern accompaniment to any living interior. 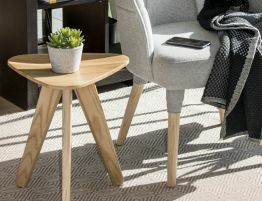 Its oval designed top seems to float with its slick form and polished finish showing off the timbers natural grain, while supported by the stream lined black frame, which sublimely leans on an angle. 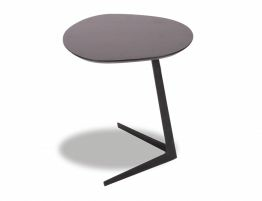 The Space side table is a real show piece, in vogue, and will create a chic fresh look to any decor. The Space is a Supportive structure, practical for any type of space, living area or office.